Any constitutional reform requires a particularly pressing need within society for altering constitutional provisions governing particular issues, most crucially the functional and territorial organisation of government. It was not professional associations of judges and prosecutors that called for amendments to provisions of the Constitution of Serbia (‘the Constitution’) that regulate the judiciary: rather, it was the Government itself that identified the need to modify the Constitution in this regard as early as 2013, in the National Judicial Reform Strategy. The stated aim of this effort was to enhance judicial independence by eliminating the influence of the legislative and executive power on the appointment and dismissal of judges and court presidents, public prosecutors and deputy public prosecutors, and appointed members of the High Judicial Council and the State Prosecutorial Council. The current Constitution envisages that a motion to amend it may be made by a ‘petitioner with standing’ (at least one-third of all Members of Parliament; the President of the Republic; the Government; or 150,000 registered voters); a two-thirds majority in the National Assembly is required to adopt proposed constitutional changes and draft and consider any enactment amending the Constitution. In contravention of this procedure, in mid-2017, the Ministry of Justice (‘the Ministry’) began what it termed ‘consultations’ with professional associations of judges and prosecutors and other civil society organisations, which it invited to submit their views regarding possible constitutional arrangements. 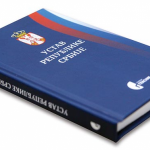 The publication of the Working Draft of Amendments to the Constitution of the Republic of Serbia (‘Draft Amendments’) in late January of 2018 re-ignited debate about changes to the Constitution’s provisions governing the judiciary. Any constitutional reform interferes with the established legal order; changes to the Constitution call for formidable procedural effort; and amendment of constitutional provisions defining the nature and extent of government also require public approval in a referendum. It is, therefore, pertinent to ask whether strengthening judicial independence requires changes to the Constitution at this time to, or whether this goal could more easily be achieved by only enacting appropriate legislation. The Judges’ Association of Serbia has consistently demonstrated that current constitutional provisions were capable of yielding better results provided that robust laws are adopted. Independence is not gained solely by being proclaimed in the Constitution. This is evidenced by the fact that only 52% of judges in Serbia consider themselves independent, although their permanence of tenure is guaranteed by the Constitution. Judges are convinced that greater independence could also be ensured under the existing constitutional framework provided there was the political will to do so. Legislation governing the status of judges and operation of courts intrudes upon the independence of judges and courts more than is permitted in the Constitution. Court presidents are given excessively broad powers, even benefiting from a separate set of retirement rules (they are able to remain in post until their term of office as court presidents expires, even after attaining retirement age). The Minister of Justice has been given responsibility for enacting the Court Rules of Procedure (a key document regulating the judiciary), determining criteria that govern staff numbers, and deciding on the procedure for admission of judicial assistants. Of particular concern is the ability of the executive to nominate representatives to the Board of Directors of the Judicial Academy and exert direct, institutional, and actual influence on the Academy. Addressing these issues and enhancing judicial independence need not wait for amendments to the Constitution. For instance, instead of the Minister of Justice being in control of the Court Rules of Procedure, the President of the Supreme Court of Cassation could be made responsible for their enactment, following consultations with all of the Court’s judges. In addition, the duties currently performed by court presidents could be entrusted to a collective body composed of the court’s president and a number of judges delegated by their peers at the same court, etc. Experience has, however, shown that in many countries even the best institutional arrangements will not work without the good will of those responsible for implementing and executing them. As such, the implementation of existing standards is therefore at least as important as the identification of new standards needed. If the Constitution is to be amended, this effort ought to be approached anew, systemically and thoroughly, based on clear and publicly stated objectives, and in compliance with the Constitution itself. Since the Republic of Serbia has made the strategic commitment to joining the European Union and has consequently taken on a multitude of obligations and set time limits for taking the appropriate action, this document will deal with accession to the European Union and the Venice Commission to the extent necessary and in proportion to the Ministry’s references to these issues. Serbia has undertaken to amend its Constitution in the National Judicial Reform Strategy with the aim of enhancing judicial independence by eliminating the influence of the legislative and executive power on the appointment and dismissal of judges and court presidents, public prosecutors and deputy public prosecutors, and appointed members of the High Judicial Council (HJC) and the State Prosecutorial Council (SPC). This same commitment to constitutional reform to secure judicial independence and accountability, in view of recommendations of the Venice Commission, is also undertaken in Serbia’s Chapter 23 Action Plan. Serbia has committed neither to increasing political influence nor reducing the extent of human rights attained (which is, at any rate, prohibited under Article 20.2 of the Constitution); in addition, the right to a free trial, guaranteed by the Constitution to each citizen of Serbia (Article 32), includes the requirement not to reduce safeguards for the independence of judges. Aware of the significance of any changes to Constitutional provisions governing the judiciary, the Judges’ Association of Serbia responded to the Ministry’s invitation and took part in the ‘consultations’ on amending the Constitution of Serbia that began in mid-2017. From the very outset, this process neglected the issue the debate ought to have focused on in the first place, namely, securing judicial independence. The procedure was not cast as a formal public consultation and did not actually allow opinions to be solicited: no legal text was up for discussion, judicial bodies and academia were not involved, and the debate was marred by disparaging comments made by representatives of the Ministry about a number of participants, judges’ professional associations, and judges and prosecutors as a body. In light of these circumstances, on 30 November 2017 the Judges’ Association of Serbia withdrew from the consultations and notified the Ministry of Justice and the Serbian and international public of its decision to do so. The Judges’ Association again responded to an invitation to discuss the Draft Amendments in February 2018, but the roundtables held in the cities of Kragujevac and Novi Sad followed exactly the same pattern as seen in earlier consultations. Moreover, in addition to his continuing derision and insults aimed at participants in this debate, Èedomir Backoviæ, Assistant Minister of Justice and member of the Venice Commission, publicly expressed his puzzlement at the fact that some of them could even serve as judges or prosecutors. In a television appearance on 15 February 2018, Mr Backoviæ openly threatened the President of the Judges’ Association of Serbia and other members of the profession, saying ‘I would be glad to harm you and those like you’. These events forced professional and other associations to again leave the process, as outlined in their public announcement. The Chapter 23 Action Plan, adopted by the Government on 27 April 2016, has been breached on multiple occasions, quite apart from failures to adhere to its time limits: the 2014 Legal Assessment of the Constitutional Framework Concerning the Judiciary in Serbia has been ignored; amendments to the Constitution were not proposed in Parliament; and no working party to draft the amendments has been established. The authors of the 2018 Draft Amendments remain unknown to this day. As this text does not meet the two formal requirements envisaged under the Chapter 23 Action Plan, its submission to the Venice Commission would constitute another violation of the Constitution and Action Plan, even if the Venice Commission were to consent to even considering such a flawed proposal. In technical terms, the quality of the Draft Amendments is quite poor: the 24 proposed amendments are accompanied by little or nothing in the way of justification. Whilst some amendments include inappropriate or incomplete statements of justification, no rationale is provided for as many as ten of them. This ought particularly to be highlighted if one recalls that some of the amendments are in no way connected with recommendations made by the Venice Commission or commitments from the Chapter 23 Action Plan, such as changes to provisions governing non-transferability of judges or positions incompatible with judicial office, or the deletion of the ban on influencing judges in the exercise of their judicial office. Moreover, the explanatory notes are at odds with the Serbian Common Methodological Rules for Legislative Drafting, which mandate that any proposed piece of legislation must contain a statement of reasons for its enactment, including an assessment of the current situation, issues the regulation is designed to address, objectives to be achieved, and why legislation is the best option for resolving the problem in question. The statements of justification also omit any findings of a regulatory impact assessment (i.e. who is likely to be affected by the proposed changes, and how). This oversight is more than just a formal error: it actually prevents any meaningful discussion about the adequacy of the proposed amendments. Provisions detailing the key principles of the judiciary – permanence, non-transferability, incompatibility, and immunity – are poorly worded. The amendments do not follow the fundamental tenet of legislative drafting, whereby the expressions used must be clear, precise, and definable (with the text needlessly using lay wording such as ‘eminent jurist’, ‘re-arrangement’ of the legal system, ‘private office’, and ‘first-instance court’). Given the appalling experiences the profession suffered during the 2009 re-appointment of all judges and prosecutors that contravened every established legal principle, the Draft Amendments are also greatly deficient in that they do fail to propose a Constitutional Bill to implement the Constitution, as only the totality of those provisions allows one to understand the exact scope of the changes sought. This omission is all the more glaring as, formally, a Constitutional Bill can only be introduced in the final phase of the amendment process, immediately before the new Constitution is about to be enacted. And, at this late stage, neither the public at large nor the expert community would be able to grasp the scope of the proposed changes in their entirety, which would preclude any transparent debate. The reasons given for some amendments cite only one of the multiple opinions issued by the Venice Commission on Serbia’s legislation (Judicial Appointments, CDL-AD (2007)028). The justifications also reference portions of the Commission’s opinions on the legislation of Armenia, Georgia, Albania, and Montenegro: these observations are taken out of context and do not contain general views, but rather only comments regarding specific features proposed in particular social and historical situations faced by countries with vastly different legal traditions. The explanations made do not reveal why any given solution has been selected over other applicable alternatives, and whether the option chosen is indeed the best for regulating the Serbian judiciary. The Venice Commission is wrongly presented as a source – or even as the source – of standards about the judiciary and judicial independence, although the Commission is an advisory body primarily tasked with giving opinions as to the alignment of specific legislation enacted by individual states with a set of standards developed by many other entities, including the European Court of Human Rights, Consultative Councils of European Judges and Prosecutors, European Network of Councils of the Judiciary, etc. In terms of their content, the amendments meet none of the three commitments undertaken in Item 1.1 of the Action Plan. At first glance, it would appear that in developing the Draft Amendments the Ministry has addressed its pledges. The proposals include the abolishment of the ‘trial appointment’ of judges to three-year terms, incorporate requirements for the dismissal of judges into the Constitution, allow the HJC to appoint and dismiss all judges and court presidents, and formally remove the Minister of Justice and the chair of the Parliamentary Judiciary Committee from the HJC. However, the changes would leave judges in the minority on the HJC, with five votes of the total of 11. The role of the Serbian Parliament in appointing members of judicial councils would be more than just procedural, as required in the Action Plan: Parliament would play a decisive part by selecting members able to control the councils, either by means of presiding officers’ casting votes or by simply being in the majority. Other proposed amendments reinforce the impression that the ability of the legislative and executive branch to influence the judiciary has been shifted onto the governing political majority and the Judicial Academy. In addition, the HJC has been formally weakened and transformed into an instrument to be wielded by the Parliamentary majority of the day. Under the proposed model, the HJC would no longer be responsible for guaranteeing judicial independence and would become a mere puppet of the politicians, as evidenced by its composition (where actual judges would be in the minority) and its greatly circumscribed powers (as any decision could be made without the involvement of its judge members). The Judicial Academy will benefit from no guarantee of independence and will be faced with both formal and, to an even greater extent, informal influence of the Ministry. Unlike in any other European nation, this institution will in fact have the power to vet candidates for appointment to courts with original jurisdiction by selecting students for its courses, who will then enter the profession by formally being appointed as judges by the HJC. Furthermore, this will prevent access to the judiciary for anyone other than graduates of the Academy, such as, for instance, judicial or prosecutorial assistants with appropriate training, or professors or legal practitioners. The proposed amendments aim to curtail current constitutional guarantees of judicial independence (by omitting the ban on political influence on judges in the exercise of their office; authorising the Minister of Justice to bring disciplinary proceedings against judges and seek their dismissal; and introducing case law as a source of law). The also do away with the principle of non-transferability (by allowing judges to be transferred without their consent in the event of any ‘re-arrangement of the judicial system’), and define appointments or positions incompatible with judicial office broadly and vaguely (citing ‘private’ office, which raises the prospect of a ban on professional associations of judges) whilst allowing the schedule of incompatible positions to be easily amended by legislation. The proposed introduction of ‘case law’ as a source of law, and its mandatory alignment with statutory law, would permit the imposition on judges of the requirement to base their rulings, against their freely-held convictions, on precedent set by, and according to the assessment of, a non-judicial authority. This is a retrograde arrangement that is not appropriate to the legal order of the Republic of Serbia or any other democratic nation. Although the Draft Amendments aim to comprehensively revise Constitutional provisions governing the judiciary, they do not clearly regulate the relationship between the three branches of government to make it obvious that the system of checks and balances pertains to the legislative and executive, whilst the judiciary remains independent. Moreover, the amendments do not define the extent of the judicial system or stipulate substantive guarantees for the independence of judges and the judiciary, nor do they guarantee judges freedom of speech and association. The Ministry also seems to have cherry-picked opinions of the Venice Commission in an attempt to justify the introduction of measures that would permit the judiciary to be controlled by the legislative and executive, whilst completely disregarding any of the Commission’s views to the contrary. This fact, coupled with the concerns outlined above, seems to demonstrate that the Draft Amendments seek, unnecessarily, to replace the present organisation of the judiciary by a new concept that would diminish its current independence and enhance political influence over the justice system. Discussions have revealed that the document is opposed by both civic and professional organisations that have taken part in consultations to amend the Constitution, as well as by the highest judicial authorities and experts never even invited to the public events. Serious criticism has been levelled at the Draft Amendments, with their withdrawal sought by the High Judicial Council, State Prosecutorial Council, Supreme Court of Cassation, and all courts that have to date met to consider the issue. The same demands were also made by key experts in constitutional law, political and legal theory, and judicial organisation who gathered on 20 February 2018 at the ‘Public Hearing for Academia’ organised by the Judges’ Association of Serbia and the Prosecutors’ Association of Serbia. Nevertheless, the Ministry has sought to downplay this disapproval, and has attempted to gloss over calls from key judicial institutions and renowned law professors for the amendments to be withdrawn. Prepare a new set of amendments and put them up for public consultation alongside a working draft of a proposed Constitutional Bill, without which it is impossible to envision the true scope of the proposed changes. 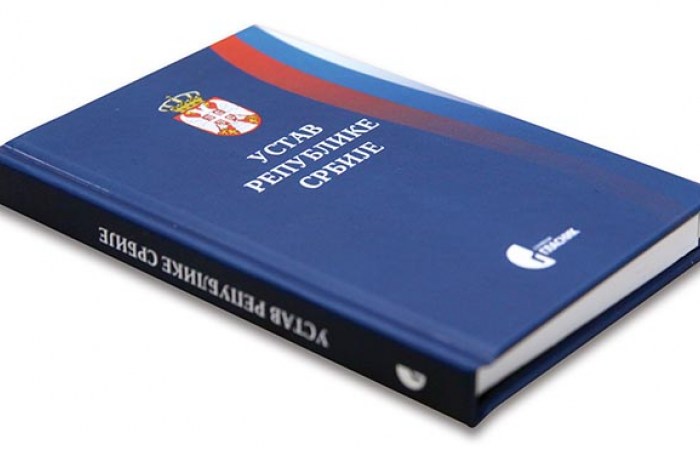 Available online from the Serbian Ministry of Justice [in Serbian]; accessed on 4 February 2018. Jačanje integriteta i nezavisnosti sudija u Srbiji [Strengthening Judicial Integrity and Independence in Serbia], Društvo sudija Srbije, Beograd 2017, p. 85. Venice Commission, Report on the Independence of the Judicial System Part I: The Independence of Judges, CDL-AD(2010)004, Study No. 494/2008 of 16 March 2010, Paragraph 10. This refers to recommendations made by the Venice Commission in its Opinion on the Constitution of Serbia, No. 405/2006, of 19 March 2007 (CDL-AD(2007)004). Just how powerful this informal influence of the executive on the Judicial Academy is was revealed by a statement made by the Director of the Judicial Academy on 27 January 2018. Addressing a group of judges and lawyers attending a training event at the Academy, the Director claimed he was the head of a Government institution and that he had to do as the Government said. This assertion was subsequently reported in writing to the HJC by a judge who had taken part in the event.